West Basin Municipal Water District Director Gloria Gray chaired the Metropolitan Water District of Southern California Board Meeting on Tuesday, February 12. The Metropolitan Board opened the meeting in recognition of Black History Month. Gray was the first African-American woman to hold the gavel in Metropolitan’s history. She joined the Metropolitan Board of Directors as West Basin’s representative in April of 2009 and is currently the Vice Chair of the 37-member Board of Directors. “As a Board Member for Metropolitan, I am honored to represent West Basin and its communities as we provide reliable, high-quality water to one million residents in 17 cities in coastal Los Angeles,” Gray said. “I am proud to be the first African-American woman to chair a Metropolitan Board meeting, especially during the month of February when we remember and recognize so many important African-American pioneers. Today is a special day I will never forget,” she noted. 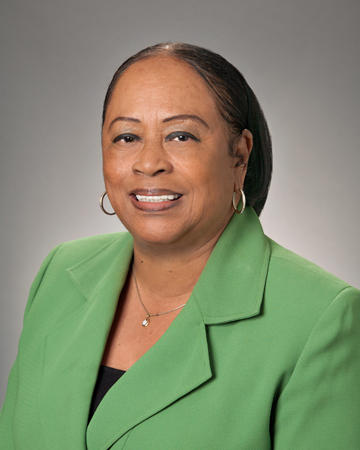 Gray has served on the West Basin Board since 2006 and represents the Division II cities of Inglewood, South Ladera Heights, a portion of Lennox and Athens, Howard and Ross-Sexton. She also serves as a council member on the Delta Stewardship Council which strives to provide a more reliable water supply for California and protect, restore, and enhance the Delta ecosystem. Gray was appointed in 2010 by Speaker of the Assembly Karen Bass and was the first African-American to serve on the council. Gray has a long history of public service including a 36-year career with the Los Angeles County Department of Health and Human Services and serving on several Inglewood Unified School District Boards and commissions. She was also appointed by Los Angeles County Supervisor Mark Ridley-Thomas to serve on the Water Quality Community Task Force, part of the county’s “Clean Water, Clean Beaches” initiative to address pollution in local waterways. In 2011, she received the “Women in Action Award” from the Los Angeles African-American Women’s Public Policy Institute for her positive representation as a role model for young women. Last year, she received the honorable “Harriet Wieder” award for leadership in water from the Southern California Water Committee and special recognition from the Friends of the Ballona Wetlands for leadership on current and future water issues.